Bette M. Simmons, 88, died on August 24, 2015, at Maplewood Campus, Canton. Calling hours will be 3 -6 PM , August 27, the funeral service will be August 28, at 2 PM, at the funeral home, Reverend Robert Schirmer officiating, burial will follow in Mount Alone Cemetery, Town of Oswegatchie. She is survived by her daughters, Judy McEathron of Lisbon, Peggy Whiteford of Rochester, Dale Simmons and her husband Kevin Emler of Rochester, Gina and her husband David Nourse of Cortland, adopted son, Ross Kostin of Rensselaer Falls, a sister, Helen and her husband Don Houck of Canastota, a brother in law, Nelson Austin of Hermon, grandchildren, Lisa and her husband Don Wright, Jennie and her husband Will Harper, Michelle and her husband Matt Kraft, John Nourse, Bill and his wife Leesha Emler, great grandchildren, Zachary Wright, Calleigh Harper, Haley Kraft, Benjamin Kraft, Jacob Emler, Madison Emler, Ryan Emler, several nieces and nephews. She was predeceased by her son, Jerry, brothers, Stanley and his wife Alice Childs, Merlin and his wife Jean Childs, sisters, Minnie and her husband Al Pike, Laura Austin, a granddaughter Cheryl Simmons, and a great granddaughter, Morgan Kraft. Bette was born on May 1, 1927 in Kendrew, New York, the daughter of the late Ralph and Beatrice Stone Childs. She attended the country school in Kendrew and graduated from Ogdensburg Free Academy in 1944. She married Hudson Simmons, October 10, 1945, at the Methodist Parsonage in Rensselaer Falls, he predeceased her on April 3, 2004. She was nurse’s aide at Kinney Nursing Home in Gouverneur for 15 years and prior to that she was a cleaning lady at the Gillette Nursing Home in DeKalb Junction. Bette was a member of the Kendrew Methodist Church and the Kendrew Grange Ladies Aid. She enjoyed knitting, crocheting, and making quilts. She made over 400 quilts during her lifetime for family and friends. She loved spending time with her children, grandchildren, great grandchildren, and many other children who called her grandma and thought of her as if she was their grandmother. Contributions can be made to the Kendrew Grange, c/o Jane Pike 176 Judson Street Road Canton, New York, 13617 or Maplewood Campus, 205 State Street Road, Canton, New York 13617. Bette’s family would like to thank the nurses, staff and doctors at Canton Potsdam Hospital, a special thanks to the aides, nurses,and staff at Maplewood and Hospice for the care given to Bette and them. 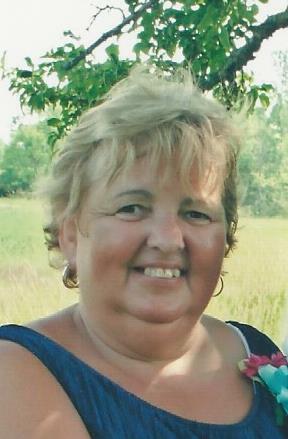 Vicky L. Putnam, 58, died on August 18, 2015, at St. Joseph’s Hospital in Syracuse. Calling hours will be 2 -4 and 7 – 9 PM , August 25, the funeral service will be August 26, at 2 PM, at the Allen-Denesha Funeral Home, DeKalb Junction, Missionary Ronald Stiles officiating, burial will be in Rensselear Falls Cemetery, Rensselear Falls. She is survived by her daughters, Kristy and her husband Brett Simmons of Morristown, Ashley Putnam and Michael Hitchcock of Auburn, Chelsea Putnam of Auburn, brothers, Roger and his wife Johanna Newcombe of Rensselear Falls, Richard and his wife Jayne Newcombe of New Hampshire., a sister Sue and her husband Chuck Gushea of Rensselear Falls, grandchildren Jeffrey Simmons, Craig Simmons, Brooke Hitchcock, Haileigh Hitchcock, Emilee Holm, a lifetime family friend Mary Downing and her children, Emma Benware and Mason Parson, several nieces and nephews. Vicky was born on November 22, 1956 in Ogdensburg, the daughter of the late Floyd and Edna Race Newcombe. She graduated from Canton Central School in 1975 and attended SUNY Canton. A marriage to Wayne Putnam ended in divorce. She retired from St. Lawrence Lewis County BOCES, as a job coach. Vicky was a member of the Rensselear Falls Volunteer Fire Dept. Ladies Auxiliary. She dedicated her life to her children and grandchildren. 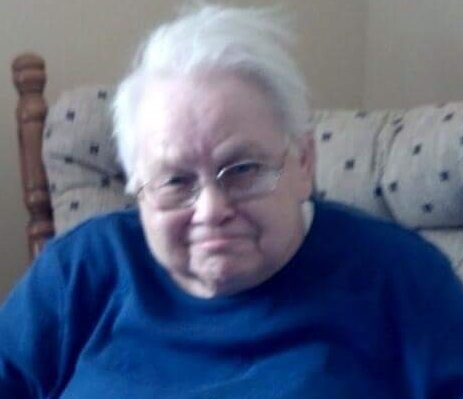 She enjoyed spending time with her family and friends and was an avid bingo player. Contributions can be made to the Rensselear Falls Volunteer Fire Department, 424 Rensselear Street, Rensselear Falls, New York 13680.